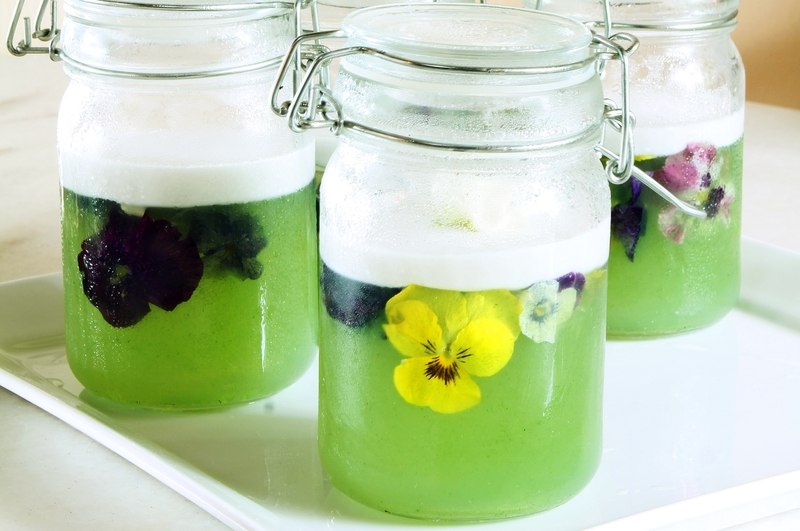 THE edible flowers will pair nicely with the fragrance and flavours of the pandan in this jelly recipe. This dessert will also make for a pretty and yummy dish at any party table. Stir together the pandan water and agar-agar powder, and bring to boil. Add sugar and stir to dissolve. Pour mixture into a bottle or jar and add the flowers. Leave to cool and set. In a pot, boil the coconut milk, rice flour, agar-agar powder and salt. Leave to cool, then pour it over the set jelly mixture. Leave to set, then top with jasmine. Cover and chill overnight. Remove the jasmine flowers before serving. Salmon and Tuberose in Galangal Soup. Red Snapper Steak with Paneang Sauce and Hibiscus Salad. Lobster, Banana and Torch Ginger Flower. Nasi Kerabu with Flower Salad. Ixora and Strawberry Ice Cream.